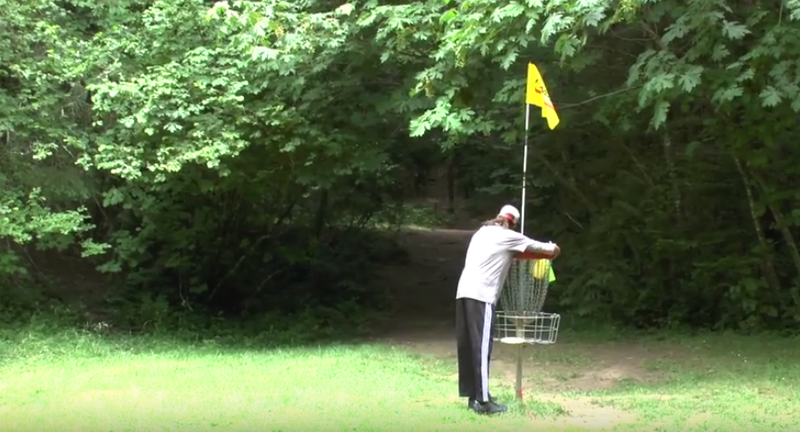 Philo Brathwaite occupies a unique niche in disc golf. Even before he threw the most famous upshot in history, the Albatross, he was already a distinctive figure in the sport. He comes by it honestly, no pretense involved. Brathwaite is a first-generation American—in fact, he is the first American born in his family—boasting an ancestral tree whose roots encircle ports of call all around the world. His background, style, level of play, relaxed charisma, speaking voice, and, yes, skin color all conspire to produce an aesthetic quite unlike anything else in professional disc golf. There’s only one Philo. He’s a standout in a blend-in profession, and his legions of fans, cultivated through years of touring, are all too eager to suit up in their Brathwaite-esque plaid shorts and fill his gallery with good vibes. And Brathwaite feels the love. “It’s really important to connect with the people because they’re the ones who drive this sport,” Brathwaite said in our recent conversation. 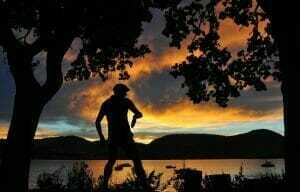 But away from the crowds and the courses, other nuances appear. Brathwaite has layers. He is possessed of a keen mind that is attentive to the state of the sport, as well as the societal dynamics that impact our world and nation in the 21st century. We all know what he throws—Rocs and Destroyers—but what does he think? 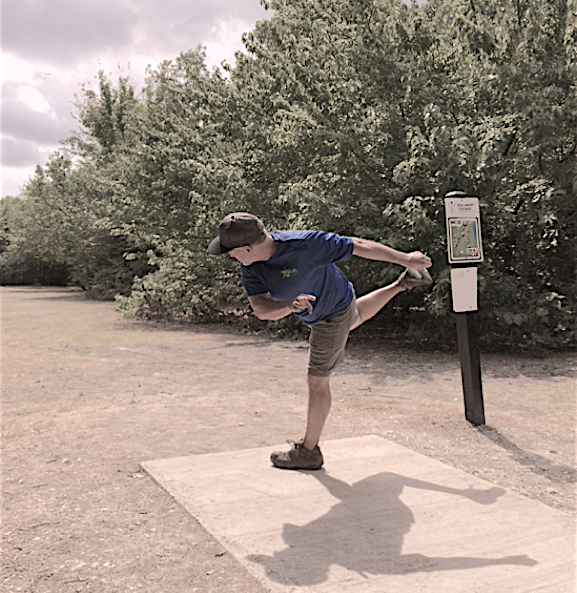 How has a black disc golfer persevered for so long in a white-dominated sport? And what must we do in these anxious times to reach out across racial divides and grow the sport for all people? Brathwaite’s aforementioned position is a lofty one, as he is one of the best players in the PDGA. His ranking has climbed steadily over the past two years, from the mid-30s to its current 18th. His 1019 rating is objective and nondescript, as cardinal numbers are supposed to be. But all of us are aware that, descriptively, Brathwaite is the highest-rated black player in the world. He embraces this fact willingly, but, in typical Philo fashion, he doesn’t attempt to leverage it for notoriety or personal attention. He is quick to defer credit, slow to accept praise, and humbled that anyone would aspire to emulate him. To identify Brathwaite as a good black player is in no way reductive or patronizing. On the contrary, it is a compliment to his resilience and pursuit of excellence in a profession where disproportionately small numbers of non-white players are entering the sport. It is hard not to notice, in this era of expanding tournament coverage, that lead cards, chase cards, and lower cards are all similarly hued. The notable exception each week is Brathwaite’s card. The trend stubbornly persists across A-, B-, and C-tier events, all the way down to the local association level—aka the port of entry for all new players—where Saturday minis and midweek dubs are likewise distinguished by a narrow demographic. In the author’s club, for example, there is only one black member who regularly competes in associational tournaments, and he goes home with bag tag #1 or #2 every time he plays. So why is the sport not attracting more black players? In Brathwaite’s estimation, we need a shift in perception. “Most teenagers and adolescents are focused on the major sports,” he said. “If they’re into sports, they want to play football, they want to play basketball. I think it’s really important to get to them at a pretty early age so it doesn’t seem like…to just make it something, another activity that they’re aware of before they start to perceive those connotations of what’s cool and what’s not cool. “I think that can go across the board for anything, for any race or background, especially when you’re in those impressionable years, getting to the kids at a younger age so that it doesn’t seem like such an odd thing to do,” Brathwaite continued. “Maybe they won’t even care if somebody considers them an outcast, because it’s something that’s part of their life already, something they’ve been introduced to already, something that they already have an interest in. Brathwaite’s comments about perceptions are noteworthy, given the larger narrative that is taking shape and stirring debate at the national level these days, namely Black Lives Matter. Few topics in the current culture are as polarizing as that movement, with recent kneel downs during the national anthem at sporting events only serving to aggravate an already tense situation. On one side of the aisle, a very passionate and vocal crowd says, “All Lives Matter!” And of course that is true. On the other side of the aisle, an equally vocal crowd says, “But in the context of all lives mattering, black lives haven’t mattered historically. At least not in the seminal American institutions and systems. There is an implied too, as in Black Lives Matter, too.” The rhetoric continues to grow sharper and more confrontational each passing day as both groups rally around their respective positions. Brathwaite, for all his appeal and for all his natural diplomacy, has not escaped unscathed from the callousness of racism throughout life. But Brathwaite, befitting of his character, isn’t bitter. Rather, he is intentionally and persistently optimistic, a worldview he attributes to his family, who instilled in him a sense of value and purpose that far outweigh any negativity he has encountered. “I honestly had a pretty mild upbringing,” Brathwaite said. “I didn’t have a whole lot of drama around me as far as being scared for my security or worried that something bad is going to happen to me at any given minute, or who’s going to break into my house or start shooting up the neighborhood. Those were very small worries for me growing up as a kid, so I didn’t really grow up with a lot of fears and worry about what could happen to me. I was very aware of those things, but they weren’t things that affected me almost daily. That really shaped my personality as an adult, not growing up around a lot of negative influences, and having a very sheltered upbringing. Not sheltered in a sense of being kept away from the world, but sheltered as far as constantly having things to do to stay out of trouble. Although Brathwaite was spared from the most withering forms of racism as a child, he is sensitive to the plight of other black Americans—and native Americans, too—who have not been so fortunate, those whose stories have not been heard because they were never able, historically speaking, to demand fair representation in print. “There is nothing the Indians could do to keep up with the muskets,” Brathwaite said. “When the Romans came walking into town with all the artillery and cavalry that they could ever want…there’s nothing you can do when somebody comes that’s more powerful. Just like today, America goes to war somewhere, and if we really wanted to, we could do Hiroshima everywhere. I think we have grown as a country at least to not go to that level. Brathwaite’s perspective on history is informed by the ideals with which he was raised. As those closest to him know, however, he is not one to make a spectacle of his beliefs. He is, by nature and nurture, a diplomat and a peacemaker, not an instigator. Because his parents divorced at an early age and moved away from one another—and because of family ties to Barbados, London, Chicago, California, and Trinidad—Brathwaite’s extended circle of relatives became strewn around the globe like scattered leaves. All the while, he was growing up in Los Angeles. Instead of isolating himself, though, Brathwaite took the initiative as a teenager and young adult to get acquainted with his father’s new family by spending time with them in Chicago. As Brathwaite said in a 2014 interview with All Things Disc Golf, “I moved up to Chicago three or four times to reconnect with them. I even spent some of my summer and holiday vacations with them.” A trip to Barbados in 2011 with Dave Feldberg and Garrett Gurthie, moreover, saw Brathwaite tracing his heritage back to his father’s homeland in the hope of introducing disc golf to a new populace. All of this is to say that Brathwaite understands the value of connectivity. He realizes how important it is to build bridges and bring people together—different kinds of people—under the banner of common interests. In order for disc golf to grow, it must not grow insular. As all biologists know, exclusivity precedes extinction. Brathwaite’s work in the local, national, and global disc golf scenes serves as a model of inclusiveness. On the evening of this interview, for example, he had just spent seven hours at Richmond Drive Elementary School in Rock Hill, South Carolina, introducing the sport to a diverse group of students. It is the kind of thing he’s been doing for a long time. All of us have a role to play when it comes to outreach. That black people aren’t taking up the sport at a commensurate rate to white people is hardly debatable. From tournament participants to tournament galleries; governing bodies to local associations; the United States to other countries; the constituency of the PDGA remains fairly consistent. The challenge is daunting, and the problem is complex, as are social dynamics in general. Fortunately, the solution—at least the first step of it—is simple: invite a black friend to play. A huge majority of disc golfers started playing because someone invited them—and they got hooked that very first time. That’s how it happened with Brathwaite. You grow disc golf the same way you grow a church, or a book club, or a tailgate party: through invitation. There is a spirit of camaraderie in disc golf that all of us have experienced, a feeling of community that keeps us coming back for more rounds even when we’re mired at an 890 rating for years on end. Limiting that sense of fellowship to a certain type of fellow would be…senseless. Craig Florence is a special education diagnostician and disc golfer from Belton, Texas.